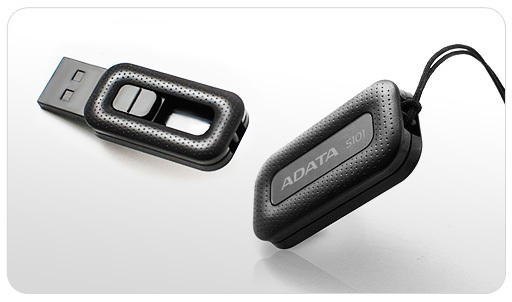 AData Technology intros a new compact flash drive for your daily needs – the S101 drive, which using the Chip-on-Board (COB) technology, measures just 33.5 x 16.5 x 6.5 mm and weight only 4 grams. The S101 flash drive sports a high-grade black leather surface, it is water-resistance and feature handy sliding connector. It is backed by lifetime warranty and is available in in 4GB, 8GB, 16GB and 32GB capacities.